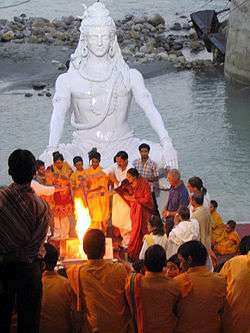 Deva is a Sanskrit word found in Vedic literature of 2nd millennium BCE. Monier Williams translates it as "heavenly, divine, terrestrial things of high excellence, exalted, shining ones". The concept also is used to refer to deity or god. The Sanskrit deva- derives from Indo-Iranian *dev- which in turn descends from the Proto-Indo-European word, *deiwos, originally an adjective meaning "celestial" or "shining", which is a (not synchronic Sanskrit) vrddhi derivative from the root *diw meaning "to shine", especially as the day-lit sky. 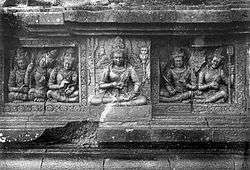 The feminine form of *deiwos is *deiwih2, which descends into Indic languages as devi, in that context meaning "female deity". Also deriving from *deiwos, and thus cognates of deva, are Lithuanian Dievas (Latvian Dievs, Prussian Deiwas), Germanic Tiwaz (seen in English "Tuesday") and the related Old Norse Tivar (gods), and Latin deus "god" and divus "divine", from which the English words "divine", "deity", French "dieu", Portuguese "deus", Spanish "dios" and Italian "dio", also "Zeys/Ζεύς" - "Dias/Δίας", the Greek father of the gods, are derived. 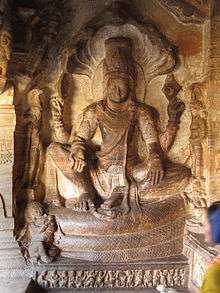 It is related to *Dyeus which while from the same root, may originally have referred to the "heavenly shining father", and hence to "Father Sky", the chief God of the Indo-European pantheon, continued in Sanskrit Dyaus. 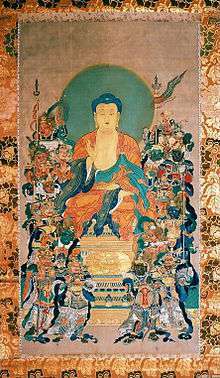 The bode of the Devas is Dyuloka. The word Deva is also a proper name or part of name in Indian culture, where it refers to "one who wishes to excel, overcome" or the "seeker of, master of or a best among-". 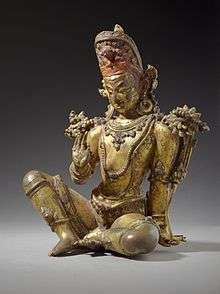 Vayu, the Lord of the wind, is an example of an important Deva. Also, Death is personified as the Dev Yama. Devas, in Hinduism, are celestial beings that control forces of nature such as fire, air, wind, etc. ↑ Silappadikaram By S. Krishnamoorthy. p. 35.